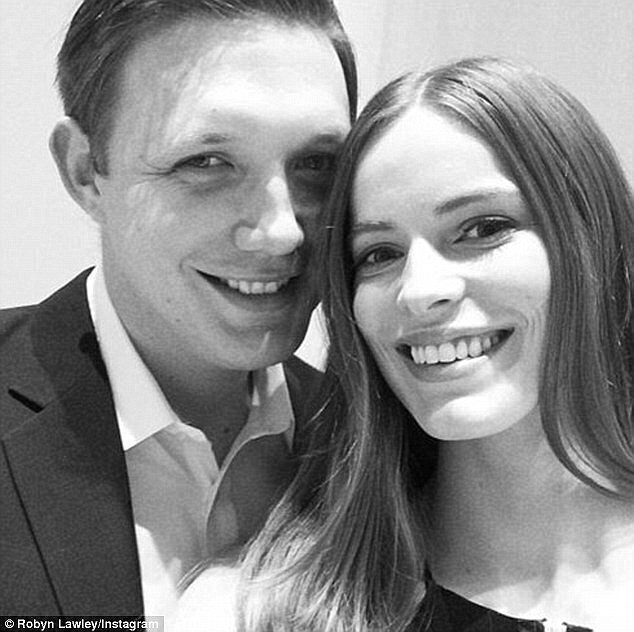 Supermodel Robyn Lawley, and her fiancé Everest Schmidt, welcomed their first child on February 26 and have named their daughter Ripley. Robyn has been modelling since she was a teenager, and has been signed with a plus-size modelling agency since she was 18. She has appeared on front covers of Dolly, French Elle, Revue des Modes, French Marie Claire, Vogue Italia, Vogue Australia, and Madison Magazine. She has walked catwalks all over the world, including New York, Sydney and Milan, and has appeared in advertisements for plus-sized and mainstream fashion brands; she was the first plus-sized model to be used in in-store advertising for Ralph Lauren. Robyn was photographed by Danish fashion photographer Kenneth Willardt for a fine art exhibition in London called Size Does Matter. Early this year, Robyn became the first plus-size model to be featured in Sports Illustrated‘s annual swimsuit edition, and she has her own swimwear line. She has a successful food blog called Robyn Lawley Eats, which led to a cookbook. Everest is a New York lawyer, and after living in New York City together for four years, he and Robyn have recently moved to California. Can Phoebe Complete This Sibset? Baby, How Did You Get That Name?